Okay, so I am about a week late getting this one posted (sorry, been ill plus have kids cutting their final molars - has been a busy time!). 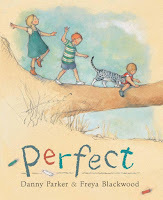 This is the short-list for the books nominated in the CBCA Book Week 2016: Australia - Story Country...As always I have broken the posts down into their categories to help you find what you need starting with the Early Childhood books. Summary: Brian isn't like his family of fellow piranhas. While they are all happy to much on meat Brian is strictly a vegetarian. 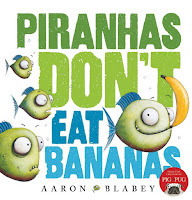 His family are determined though that because he's a piranha he should want to eat meat. Summary: Ollie loves to play on his own island and then one day the wind steals his hat. Then the wind comes back and takes his scarf. The question becomes is the wind really naughty? Or is the wind trying to tell Ollie that an island without many people may not be the right place for him. 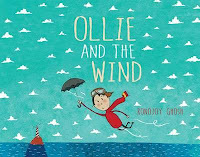 Summary: This is the story of kids who spend the days scribbling with chalk, running with kites, digging for shells, paddling, climbing, dreaming. 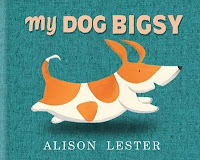 Summary: This is the story of a little dog called Bigsy who might be small but is definitely the boss. 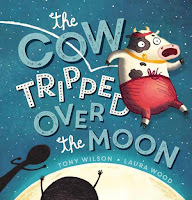 Summary: This is the story that looks behind the rhyme "Hey Diddle, Diddle" and questions that although the rhyme says that the cow jumped over the moon...how many times did the cow try it before succeeding? After all, the moon is very high up! Summary: Bill is having a bad day. Mr Huff is following him around and making everything seem difficult. 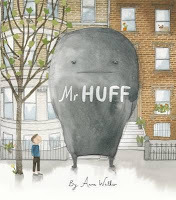 Bill tries to get rid of him, but Mr Huff just gets bigger and bigger! Then they both stop, and a surprising thing happens . . .